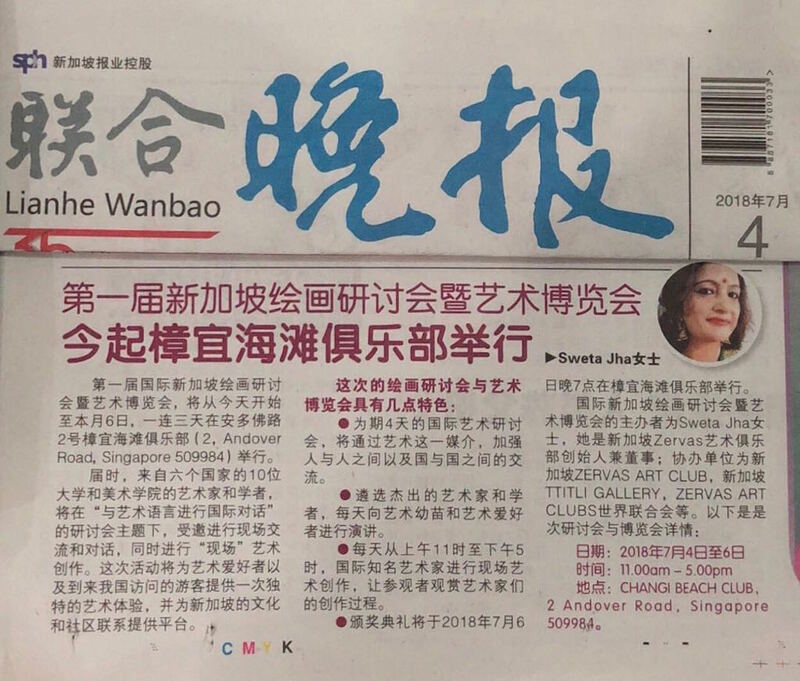 Singapore International Painting Symposium 2018. Artist sets up gallery to spread the art form in Singapore. 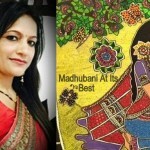 Sweta-jhaSweta is Singapore’s leading Madhubani Art & Craft specialist. She is the founder of Ttitli Iterations Pte Ltd. 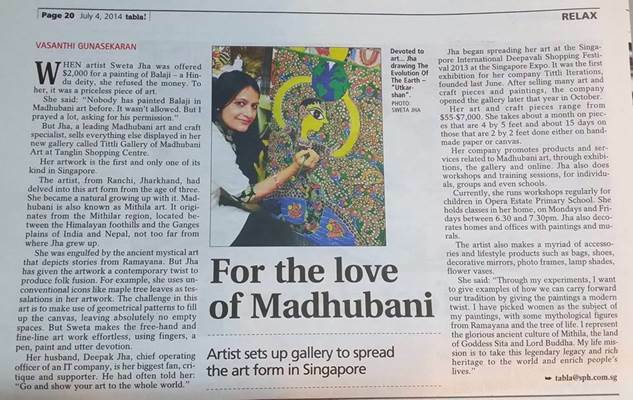 Her organization is on the forefront of propagating products and services related to Madhubani art with focus on Asia Pacific region. Her key activities include Promotion and Sale of Art and Paintings, Facilitating Art Exhibitions and shows, Event Management and organizing trainings and Workshops.Sweta pursues her passion using brush-strokes and myriad colors, exhibiting them on various objects and art medium such as canvas, fabric, handmade paper, handicrafts, personal accessories etc. 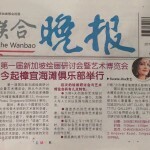 She has held many art exhibitions and workshops in Singapore and abroad. She also conducts training programs for budding artists and young kids. Her work has been widely recognized and appreciated in both corporate sector and at the grassroots level community events organized by government agencies. Sweta is an avid nature lover and appreciates elements that sensitize contours of human emotions. She is driven by her commitment to the art and confidence that her unique art form has the potential and the ability to touch masses and enrich many lives. 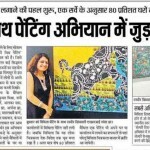 And so she tirelessly continues to communicate and connect with art lovers from around the globe.Sweta’s vivacious approach and freshness of ideas have given a new dimension to this ancient art form. This can be seen across the gamut of her creative products that brim with bright colors, hues and sharp strokes. In her own words: “I represent the glorious ancient culture of Mithila, the land of Goddess Sita and Lord Buddha. My life mission is to take my legendary legacy and rich heritage to the world and enrich people’s lives”. Madhubani a.k.a. Mithila art is an ancient mystical art form having its rich origins from Ramayana period. Originated in the Mithila region (located between the Himalayan foothills and the Ganges plains between India & Nepal), this unique art commands immense global respect and cultural significance today due to many myths and folklore attached to it. Bonjour, ton blogue est très réussi! Je te dis bravo! C’est du beau boulot! Thank you so much Sikis izle.